Pricing to custom design a family portrait session is $250 plus tax. Pricing to custom design a newborn session is $375 plus tax. Our professional prints start at $150 for a 5x7. We photograph newborns 10 days old or less. Tiffany's images have been published in D Magazine, the Dallas Business Journal and the Dallas Morning News. 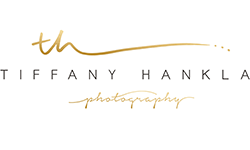 You can contact us for more information at : tiffany@tiffanyhankla.com. Our schedule doesn't allow us to photograph weddings, birthday parties or reunions. We are a referral-only business and our clients choose us for our lifestyle photography. Thank you for visiting our page!